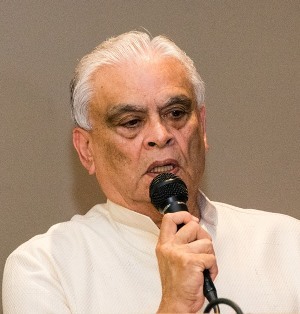 India American Cultural Association (IACA) organized a prayer meeting in honor of the former President of India and Bharat Ratna, Dr. A.P.J. Abdul Kalam, at the IACA auditorium on Thursday, July 30, 2015. 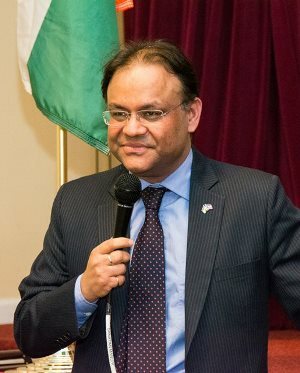 The solemn homage ceremony was attended by several leaders of the Indian American community, representatives of past and present Board and Executive members of IACA, Sanatan Mandir, and members and graced by the presence of India’s Consul General in Atlanta, Hon. 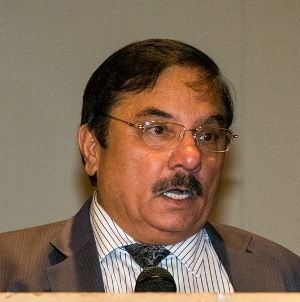 Nagesh Singh, and the President of Pakistan American Cultural Exchange, Iftikhar Sheikh. 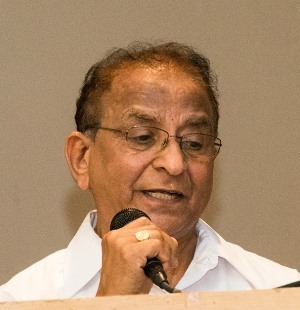 IACA President Vishwanath Ganti welcomed all, and video clips on Dr. Kalam’s life and notable accomplishments were shown on a large screen. 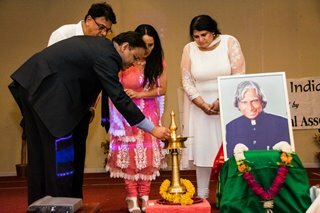 Consul General Nagesh Singh was then invited on stage to light the diya, garland, and make floral offerings to Dr. Kalam’s picture. All stood up to observe a minute’s silence as a mark of respect for the departed soul of Dr. Kalam. 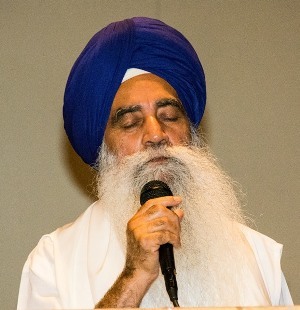 Bhai Karnail Singh ji (right) of Guru Nanak Mission Society of Atlanta in Norcross, GA paid glowing tribute to Dr. Kalam ji by telling a story from the life of Guru Nanak wherein Guru Nanak had taught that to be in public life and lead people on the path of righteousness is more important than being an ascetic. 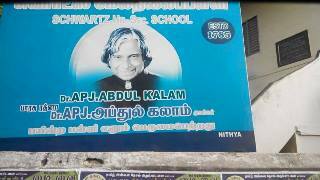 Dr. Kalam followed that to the hilt. Bhai Sahib then led the congregation in a prayer (ardaas) for the departed soul of Dr. Kalam which is also a prayer for the wellbeing of the entire world regardless of their religious affiliation. Dr. Kalam, popularly known as “The People’s President,” has left a legacy, and many may try to follow his footprints but his shoes will be very difficult to fill. He gave courage and hope to poor and downtrodden. He was a gentleman and a global leader. You can see reflection of his life in the Lord’s Prayer, said Rev. Younis. He requested all to stand up as he recited the Lord’s Prayer. 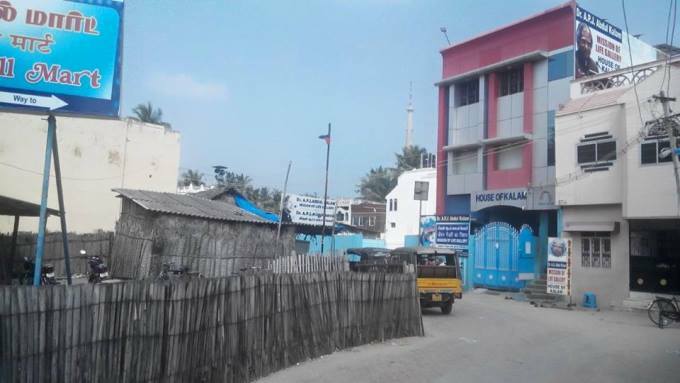 Likewise, Facebook and all social media were abuzz with tributes to President Kalam. 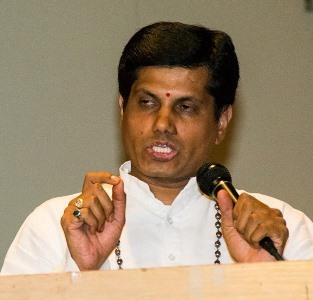 Chairman of the Gandhi Foundation of USA (also former President and chair of IACA) Subash Razdan who also was present at the prayer service, wrote on Facebook, “Fresh after the dip in the ocean and the pilgrimage to one of the holiest of the Char Dham's Ramnathaswamy Temple (in the Gulf of Mannar at the tip of Indian Peninsula connected through Pamban bridge from where reportedly Lord Rama built the Ram-Setu/Adams bridge to Lanka with his Hanuman Sena), he (Razdan) was extremely fortunate to pay his own chance homage to the legendary Kalam earlier in January 2015 when he physically visited the Higher Secondary school where the President studied and also the famous "House of Kalam" in Rameshwaram." 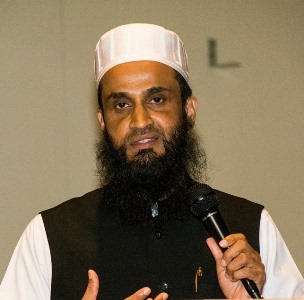 "What a coincidence that the world's greatest Karmayogi of Muslim origin, a true nationalist, humanitarian with compassion, would be born in one of the holiest Hindu places in India," Razdan added. After Ganti moved a vote of thanks, all were treated to delicious mahaprasad. 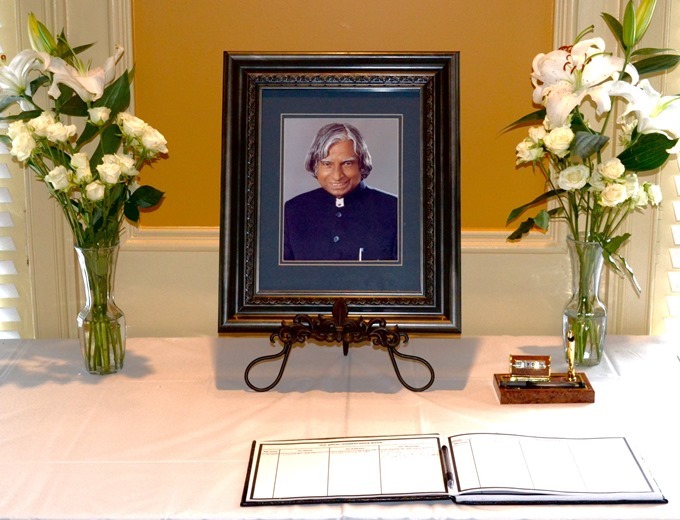 1) The Consulate General of India, Atlanta, offered a book of condolences on Dr. Abdul Kalam's death that the public could come to write in. 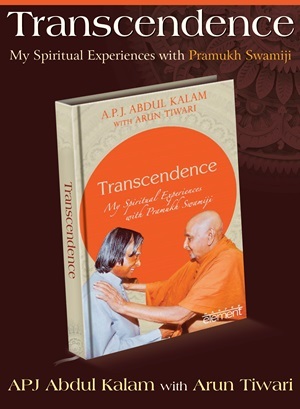 2) Not long before his passing, Dr. Abdul Kalam had written a book titled Transcendence: My Spiritual Experiences with Pramukh Swamiji and had presented it to the Swami. The book covered Dr. Kalam's 14 years' experiences with His Holiness Pramukh Swami Maharaj. Transcendence is divided into four parts. 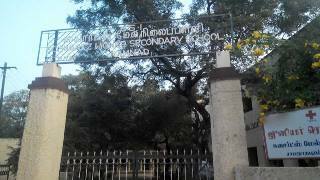 The first describes Dr. Kalam’s interactions with Pramukh Swamiji. The second part highlights some of the outstanding work and values of BAPS Swaminarayan Sanstha, as inspired by Pramukh Swamiji. the fourth reflects on the ideals of creative leadership based on the lives of leading historical luminaries (Nachiketa, Abdul Qadir, Abraham Lincoln, Thiruvalluvar, Mahatma Gandhi, Nelson Mandela, the Dalai Lama, Vikram Sarabhai, and Varghese Kurien). 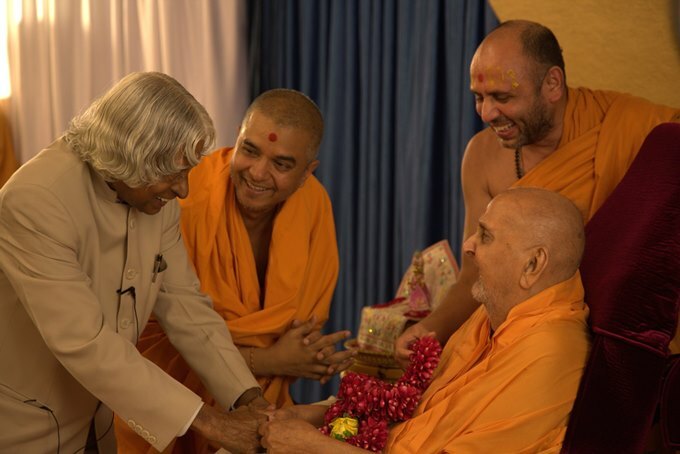 Abdul Kalam presents his book Transcendence to Pramukh Swami Maharaj.